Trainer Joe Pride will run Easy Eddie at Randwick but would rather be racing at Warwick Farm. 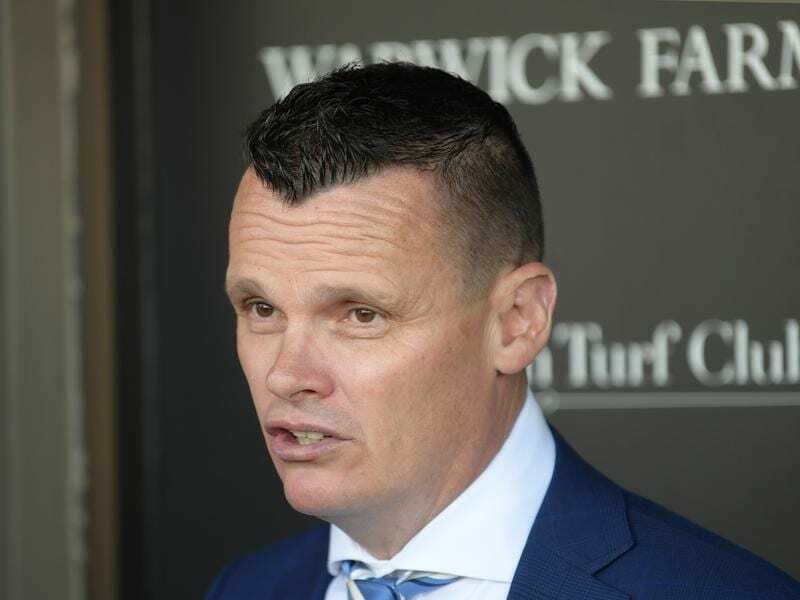 Joe Pride is among the Warwick Farm trainers disappointed not to be racing on his home track this weekend and is likely to have just one runner at Randwick. Saturday’s meeting has been transferred to the Kensington track amid predictions of temperatures up to 40 degrees at Warwick Farm in Sydney’s south-west. The heat is not forecast to be as high at Randwick which also receives sea breezes. Pride is also bemused why the Warwick Farm meeting was programmed in the first place given the corresponding day was transferred last year. “Why program meetings at Warwick Farm in January when you know it is going to be hot,” Pride said. Pride will take last-start Warwick Farm winner Easy Eddie to Randwick but is likely to keep Tahsin at home. “Easy Eddie has been to the Kensington track and won there so I’m happy to go there with him,” Pride said. Easy Eddie will be coming back from 1200 to 1150 metres because of the different starting positions on the Kensington track which is inside the course proper. “I don’t see that as any concern,” Pride said. “He has come back in distance before. Easy Eddie is the TAB’s $2.15 favourite in its opening market on the Benchmark 88 sprint and will be ridden by Robbie Dolan who rode him to win at his most recent start. The apprentice rode a winner on the Kensington track on Tuesday, steering the Kim Waugh-trained Fuchu to a third straight victory. Easy Eddie has a family connection to the Pride-trained Group One winners Tiger Tees and Terravista and their younger sibling, Group-winning sprinter Ball Of Muscle. Easy Eddie’s sire is former Singapore Horse of the Year, Super Easy who is a son of Parfore, the dam of the three Pride-trained speedsters.